When it comes to travel, Shay Mitchell is undoubtedly a pro. The former Pretty Little Liars actress, and current You star, has spent the better part of the last decade zipping around the world for film sets, press events, and her own personal vacations. Alongside all of that travel inevitably comes an understanding of what traveling comfortably feels like. 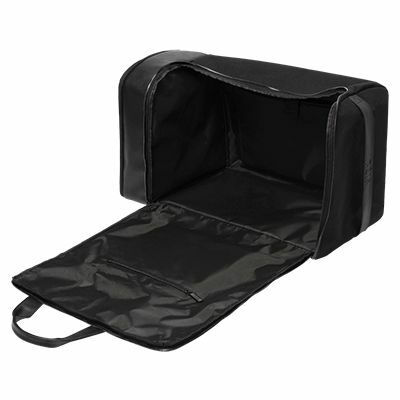 For Mitchell, she’s never quite found a brand that delivers on truly functional travel accessories within a reasonable price point. So like any millennial-aged influencer, she’s taking hold of her ability to change that. The Canadian native has decided to fill the gap by launching her own travel-focused brand, BÉIS. 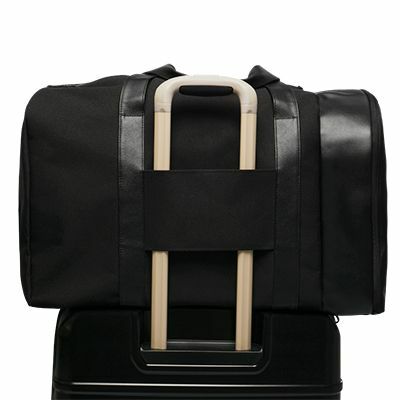 As Co-Founder and Creative Director, Mitchell’s using her travel-heavy background to design products that the brand describes as “providing purposeful organization” merged with “timeless style and [a] desire for functional staples.” While aesthetic was important for Mitchell (she’s become somewhat of a style icon, after all), the curated selection of travel essentials really shines in the careful details. Although the premier collection is nothing short of a complete set, it only sets the scene for what’s to come. At a recent sneak preview of the brand, we got a peek at beta designs for hard case carry-ons, packing cubes, and portable shoe bags, and Mitchell even hinted at the possibility of a travel blanket that’s meant to function as a chic snuggie. In addition to the launch, BÉIS has also announced it will be teaming up with Girls Up, a UN Foundation organization that supports female empowerment and education, setting young girls up to become leaders in the movement for gender equality. For every BÉIS product purchased, the brand will donate a portion of the proceeds to the global leadership development initiative. 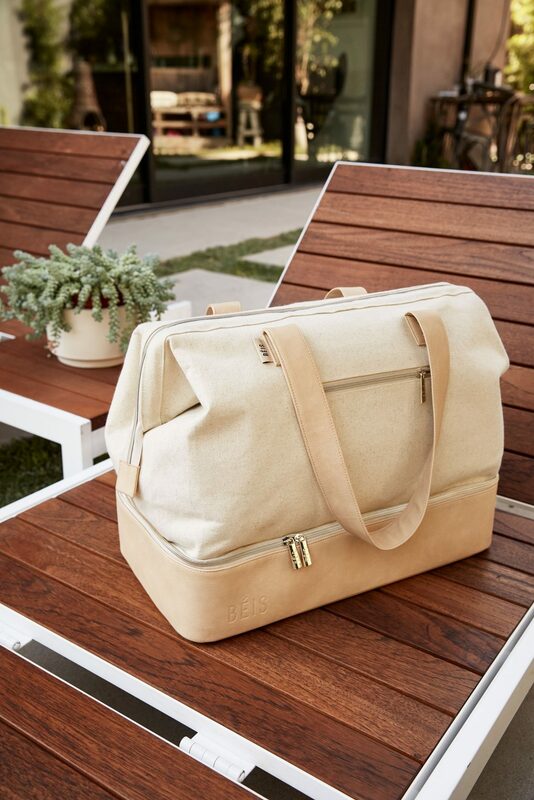 Béis The Weekender, available soon at Nordstrom. 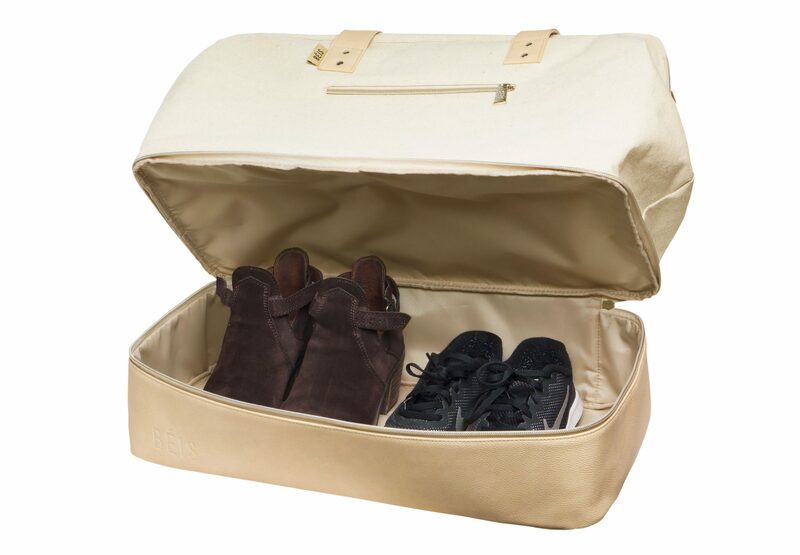 The Weekender features a bottom zip-nook for storing your shoes along with a trolley strap. 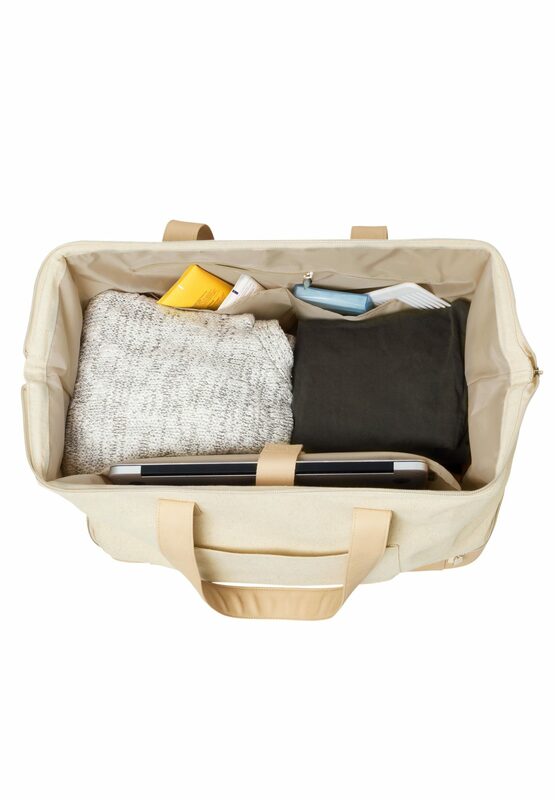 We’ll take any bag with a dedicated padded laptop sleeve. Meet The Duffle. This large bag touts a water-resistant lining, a side shoe compartment that zips, and a u-shape top zip so you can slide, instead of stuff, your clothes right in. How did we ever used to travel without trolley straps? Is Bob Dylan A Genuine Gospel Songwriter?